I don’t always (or even often) agree with Phoenix mayor Greg Stanton. But as one Scottsdale political icon has stated, even a blind squirrel finds a nut once in awhile. “Local control” is a precept often cited by Arizona governor Doug Ducey and Republican state legislators when pushing back against the Obama administration [disclosure: I am a lifelong registered Republican…but I don’t even recognize the folks in the lej who have hijacked the label]. But when it comes to the other direction–the state interfering with counties, school districts, municipalities, and other political subdivisions of the state–“local control” doesn’t seem to have any meaning at all. Clearly, what’s good for the goose is NOT good for the gander, as far as Ducey and the Lej are concerned. It’s even worse in cities like Scottsdale, where elected officials (like mayor Jim Lane) who are feathering nests for future political endeavors, simply roll over for–or worse, collaborate with–these preemption efforts. So, I have to hand it to Stanton. At least he’s pushing back. Phoenix mayor: Lawmakers should put their focus back on state issues — not mess with a local-control system that works. The framers of the Arizona Constitution were wise. They understood that for government to work well, it should be close – and accountable – to the people it serves. To enshrine the principle of local control, the framers did something for Arizona that few others states had done: firmly placing in local “charter” governments the right to make decisions of local importance. Elected mayors and city council members, they believed, were best suited to hear and understand the will of their communities. For Arizona, local control has worked: Cities and towns all over Arizona are doing a great job. Cities are undisputed economic engines for the state of Arizona – responsible for more than 90 percent of the state’s economic activity and revenue. At the local level, mayors work hand-in-hand with businesses – large and small – to create good jobs. We deliver clean water, keep our desert preserves and parks and neighborhoods safe, and make sure trash and recycling (and even compost) is picked up on time. If those things don’t happen, we hear about it – often that day – at the grocery store or at our kids’ soccer games. We don’t make our decisions hundreds of miles away from those who we affect like some in the state legislature or Congress. Our brand of local control understands that town officials in Flagstaff, Yuma and Sierra Vista know what’s best for their local communities even if the solutions aren’t the same. Local control works well, but the Arizona Legislature is messing with what works. Through legislation passed last year, legislators are aiming to interfere with local decisions. Senate Bill 1487 allows any legislator, no matter where they are from, to punish a city whose decisions that legislator disagrees with to single-handedly begin a process to take away locally generated tax revenues designated for essential services such as public safety. In other words, Arizona legislators have appointed themselves de facto municipal leaders with a partisan one-size-fits-all approach to local decisions. One legislator has already targeted the City of Tucson, and if he’s successful it could force devastating cuts to police and fire protection. It’s an unprecedented power grab – and one that has made national headlines. This legislative overreach – part of a disturbing national trend – should and must end to avoid costly and self-defeating legal battles. Shared revenues were established more than 40 years ago so that cities would not have to establish their own income taxes to pay for essential services. Voters approved the system twice because, like local decision-making, it works. As mayor, I want to be partners with our state leaders. When we work together with lawmakers to grow our economy and attract businesses, new residents and visitors to the greatest state in the Union. When state and city leaders work together, it leads to big wins. Last year mayors, state legislators and the governor worked with local police and firefighters to successfully reform our public safety pension system. Phoenix and the state work well together to attract and retain quality jobs, including the relocation of two corporate headquarters — Carlisle Cos. Inc. and The Kudelski Group — last year. And we team up to help local companies find lucrative export markets that create job opportunities for our residents. For the good of our state’s economy, it’s time for lawmakers to put their focus back on state-level needs, and there are many – including how to fund our schools, improve our infrastructure, healthcare and social services. I and other mayors stand eager and willing to help plan for an amazing future for our state, because together we can do a lot more. 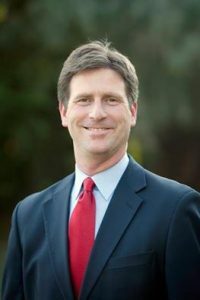 Greg Stanton is serving his second term as the mayor of Phoenix. Email him at Mayor.Stanton@phoenix.gov; on Twitter, @MayorStanton. John, you and Stanton are right on about this. Lane, of course, is part of the problem, not part of the solution.